Each year, people in Orange County have a walk for Peace and against racism in Costa Mesa on the UN Peace Day. This year's peace walk came just days after September 11. About 200 Orange County residents came to participate in a Peace Walk and to see speakers and bands at Costa Mesa's Triangle Square. 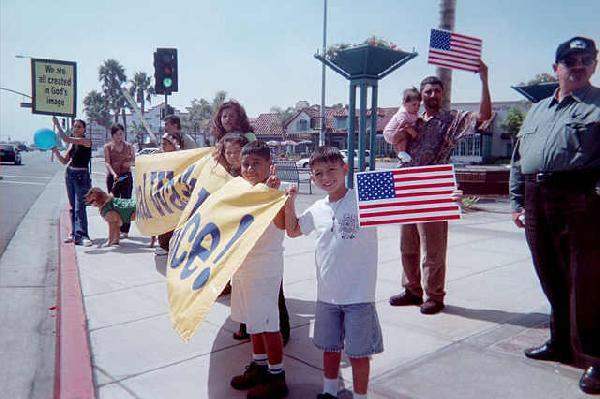 The event was organized by many groups, including the Bahai Church, the NAACP, the Orange County UN Association, and the Costa Mesa Unitarian Church. There was much emphasis on opposing racism and hatred.